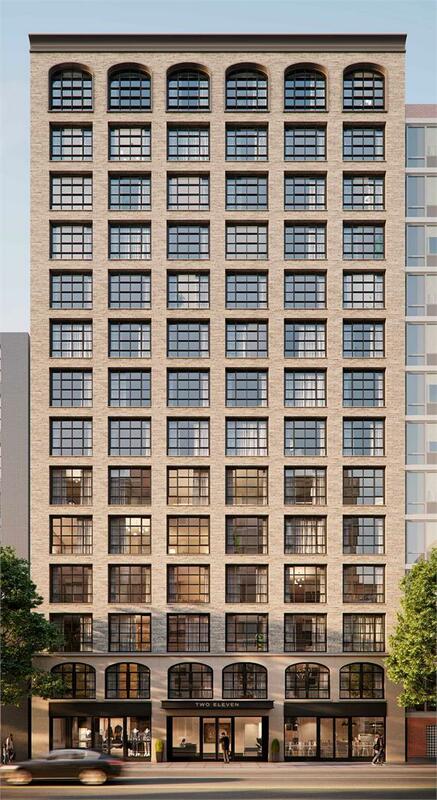 currently under construction at 211 Schermerhorn Street, Brooklyn. The development is scheduled for completion in 2019. 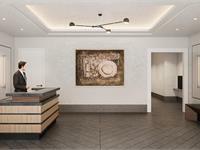 Sales for available units range in price from $1,325,000 to $3,150,000. 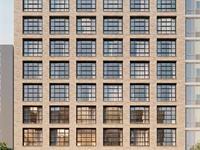 211 Schermerhorn has a total of 48 units. Sizes range from 1098 to 1944 square feet. Designed by Morris Adjmi, 211 Schermerhorn features 1 to 3 bedroom condominiums with sophisticated custom details and thoughtful amenities throughout, including a rooftop terrace with outdoor kitchen, a sophisticated resident lounge, fitness center, and a 24-hour attended lobby. Interiors exhibit timeless style and superlative craftsmanship. 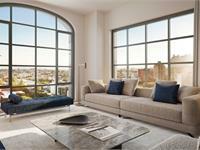 Residences have a dramatic feel with nine foot ceilings and eight-foot casement style windows. Oak plank floors are coated with a matte oil finish to enhance wood’s natural warmth. Every home is equipped with energy-efficient, multi-zone temperature control as well as stacked Bosch washers and dryers. Many residences offer private balconies. Custom-designed solid white oak cabinetry sets a minimalist tone with integrated pulls and an integrated Liebherr refrigerator and Bosch dishwasher. 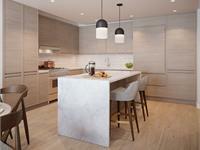 Honed Carrera marble comprises the tiled backsplash, slab countertops and the center island’s elegant waterfall edges. Custom double-sink solid oak vanities with honed Bianco Bello slab marble countertops become the focal point of the master baths. 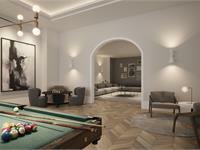 Honed Bianco Carrera marble floors display a herringbone pattern. 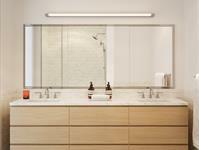 Glass-enclosed walk-in showers and soaking tubs are finished with polished chrome Lefroy Brooks fixtures. Three top-floor penthouses at 211 Schermerhorn offer ceiling heights of ten feet, and generous private rooftop space with outdoor kitchens. Penthouse A is a three-bedroom, three-bath home with beautiful arched casement-style windows and an expansive 680-square-foot private rooftop terrace accessed via interior stair. 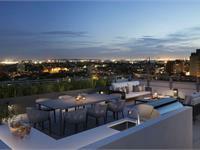 Penthouse B encompasses three bedrooms, two baths, a private balcony and a 521-square foot rooftop cabana. 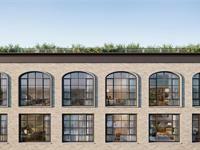 Penthouse C is a three bedroom, two bath home with beautiful arched casement style windows and a 436-square foot private rooftop cabana. Your inquiry will be delivered to the 211 Schermerhorn sales team, who will send you more information about this development.